Soy sauce is a brown, salty, liquid used as a condiment or seasoning in many Asian cuisines. It's made from fermented soybeans, salt, water and sometimes roasted grains. Soy sauce has an earthy, umami flavor, which makes it an ideal all-purpose seasoning. To make soy sauce, soybeans are first cooked to soften the bean. Next, bacterial and fungal cultures are added to begin the fermentation process. Roasted wheat or other grains may also be added to this mixture to provide a unique flavor. The soybean culture mixture is combined with a salt brine and allowed to “brew” for a specific amount of time. During this process, the microorganisms break down proteins and sugars that are naturally found in the soybeans into numerous compounds that create the complex flavor and color of soy sauce. After the fermentation process, the mixture is pressed to extract the dark brown, flavorful liquid. There are literally hundreds of soy sauce varieties. Varieties depend on the ingredients used, the method used to create the sauce, and the region in which it is made. 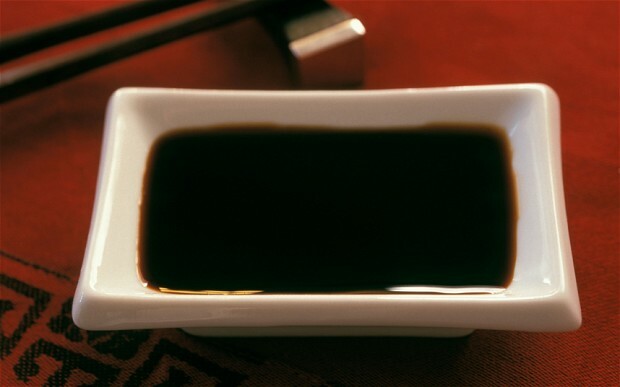 Light Soy Sauce – This thin, brown liquid is what most of us in the west refer to as regular soy sauce. It is a good all-purpose seasoning and condiment. Low Sodium Soy Sauce – Salt is an important component in the production of soy sauce because it acts as an antimicrobial agent. Most low sodium soy sauces are made using the acid-hydrolyzed vegetable protein method, which does not utilize bacterial and fungal cultures and therefore requires less salt. Tamari – This Japanese soy sauce is made with only soybeans and no wheat or other grains. Tamari has a very clean flavor and is favored by those who require a wheat or gluten free diet.